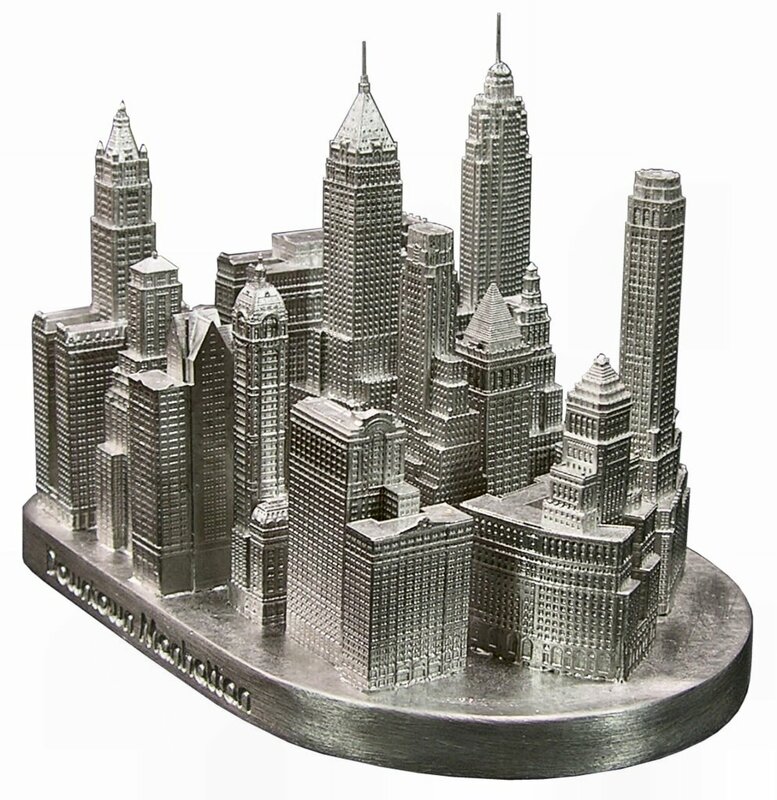 This model includes 20 Exchange Place, 40 Wall Street, Bank of NY & Trust Co., Bankers Trust, Barclay Vessey, Cities Service, Equitable Building, City Investing, Irving Trust, Standard Oil, Park Row, Singer Building, NY Stock Exchange, Transportation Building, Whitehall Building and Woolworth. The dimensions are 3-1/2" by 4-1/2" and 3-1/2" tall. Color choices are new pewter, new gold, new copper, dark bronze, medium bronze and black. Please specify color choice in additional comments box at checkout.